Are you serious about making money in FX? If the answer to this questions is yes you should be aware of multi-timeframe pivot confluence levels. If you need tools to quickly identify hyper accurate Daily, Weekly and Monthly pivot confluences you have come to the right place! 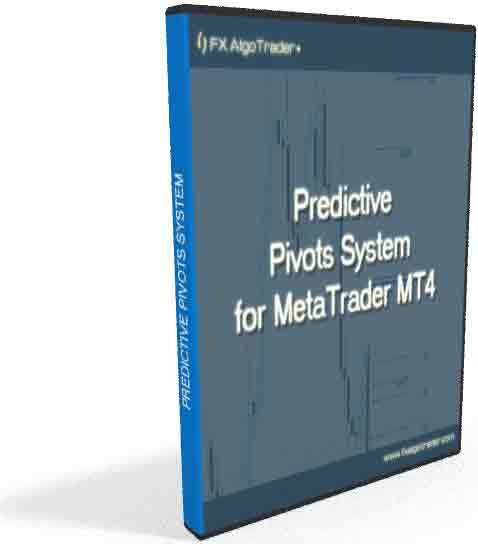 The FX AlgoTrader Predictive Pivots Indicator uses Tom DeMark's next day projected high/low algorithm to accurately calculate and plot projected high and low levels for the next day's price action. The indicator automatically calculates and displays the next day's projected high and low on any chart and allows the trader comprehensive configuration options to control the calculation window and display options. The latest version of the system uses the unique FX AlgoTrader JFX control interface for very quick and easy parameter changes.